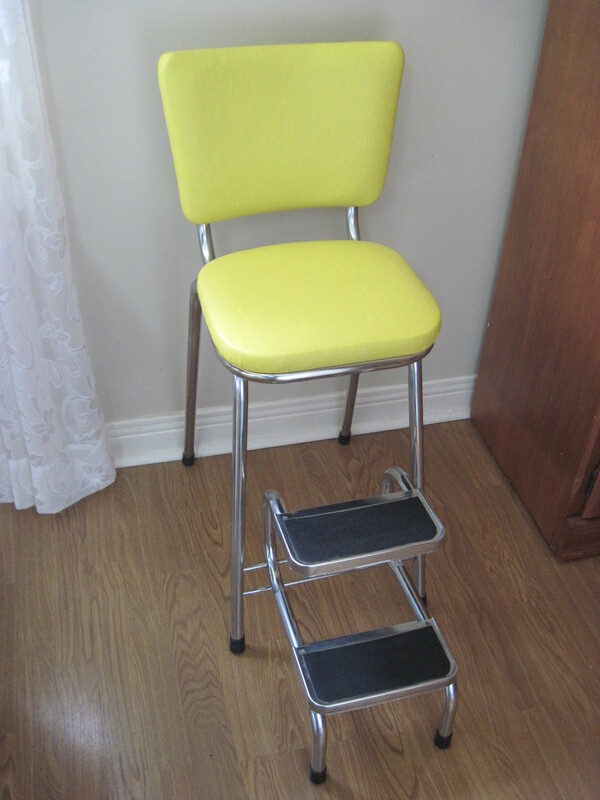 Just finished reupholstering another vintage chrome step stool, this time using bright yellow marine vinyl. The chrome seems to be in pretty good condition although there is a bit of wear on the legs which doesn’t detract from the overall look. The rubber treads on the steps are in good original condition. We saved the original paper labelling on the bottom of the stool seat and stapled it on after we finished recovering it. 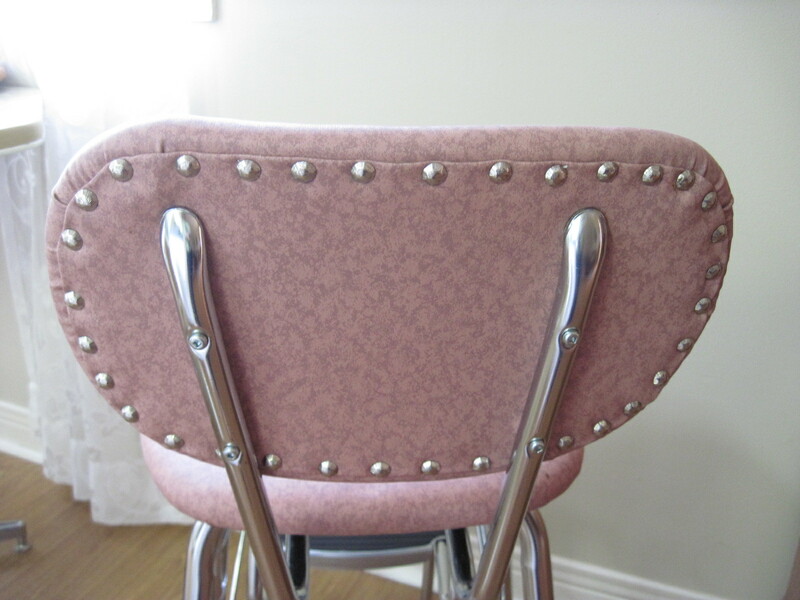 It says that it was made by Cesare Chrome Furniture Mfg, a Division of Restorite Bedding Co. Ltd. in Weston, ON. I did a little research and found out that the company closed shop in 1987. This will be going up to my booth at the Almonte Antique Market very shortly. Address is 26 Mill Street, Almonte ON. Open 7 days a week, year round, with over 50 vendors in a 2 storey building. Check out my booth on the 2nd floor near the back windows. 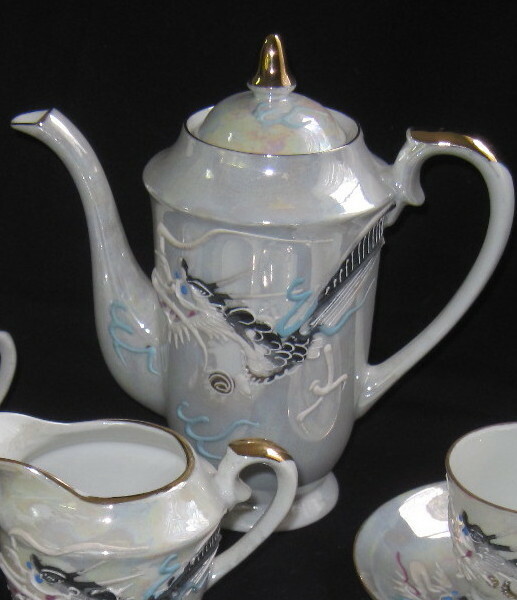 Nice Moriage Dragonware tea set made in Japan probably in the early to mid twentieth century. Nice lustrous surfaces on the pieces. Each porcelain piece has a raised Moriage dragon motif. Moriage is the slip work or slip clay that is applied to the surface of the items to give it a three dimentional look. Dragonware was introduced by Nippon in the late 1800’s and is still being produced today and manufactured by many different companies. Cups with the Geisha Lithopanes were discontinued in the mid twentieth century so at least we can date these to before the 1950’s. 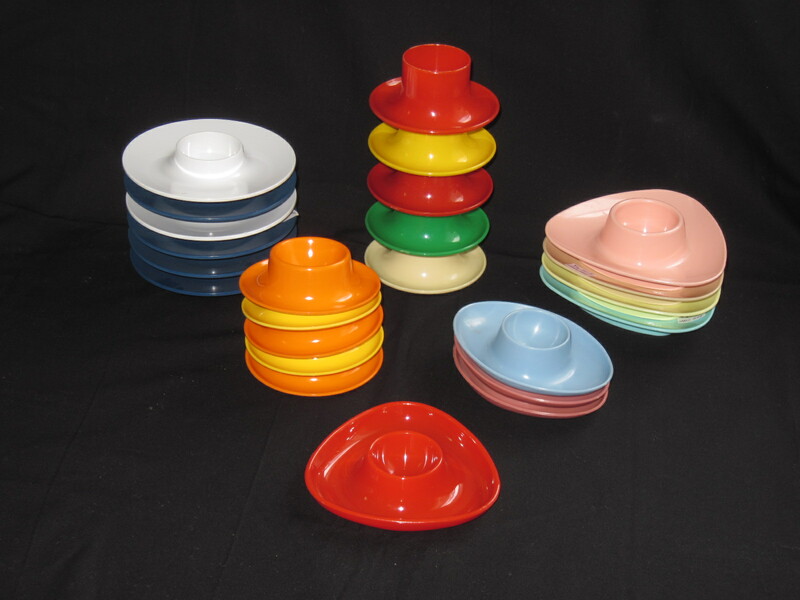 The quality of the older pieces far outweighs the newer souvenir stuff that is available today. You can read more about Dragonware at the following site: mostlydragons.com. 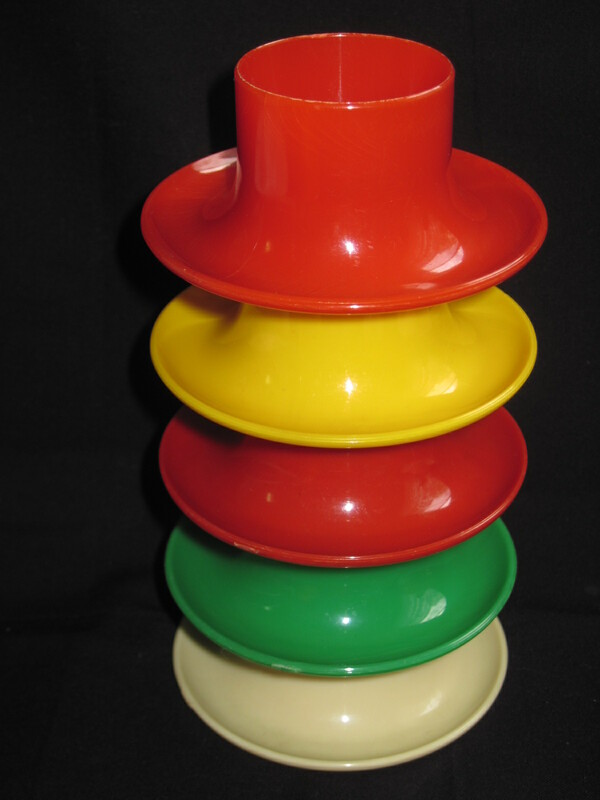 This set is currently on display in my booth at the Almonte Antique Market, 26 Mill Street, Almonte ON. 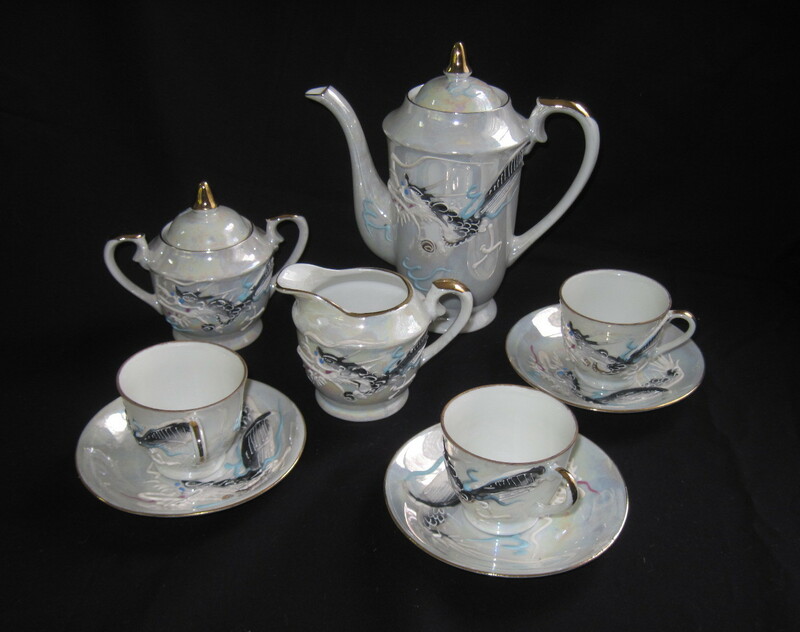 Priced at $75 for the set which includes: Tea pot, sugar, creamer, 3 cups and saucers. 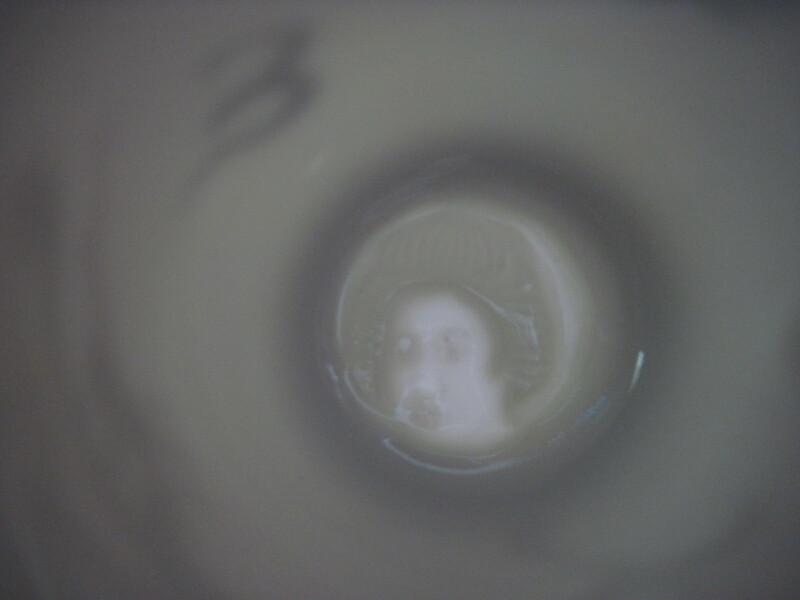 The 3 cups all have the Geisha Lithopanes in the bottoms. 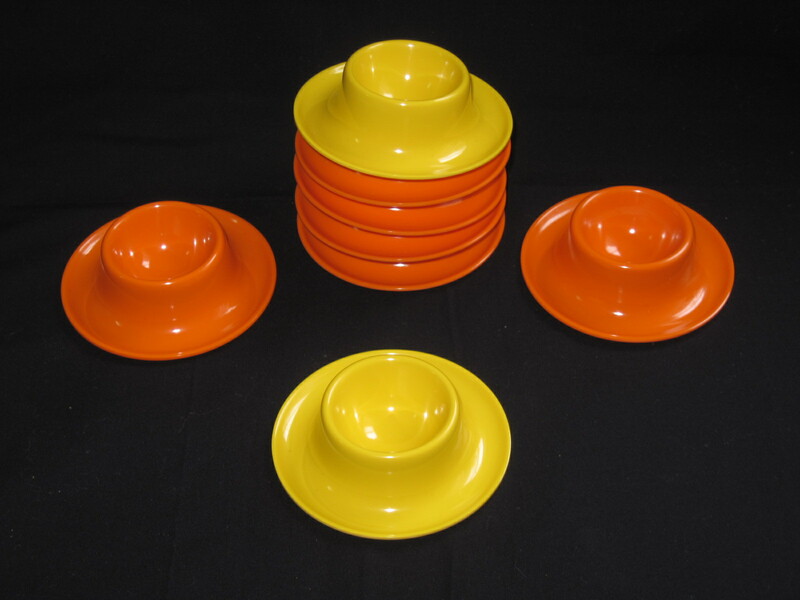 Please note this set is now SOLD!! This one only needed some cleaning of the chrome, repainting of the steps and glueing on new rubber treads to bring it up to snuff. 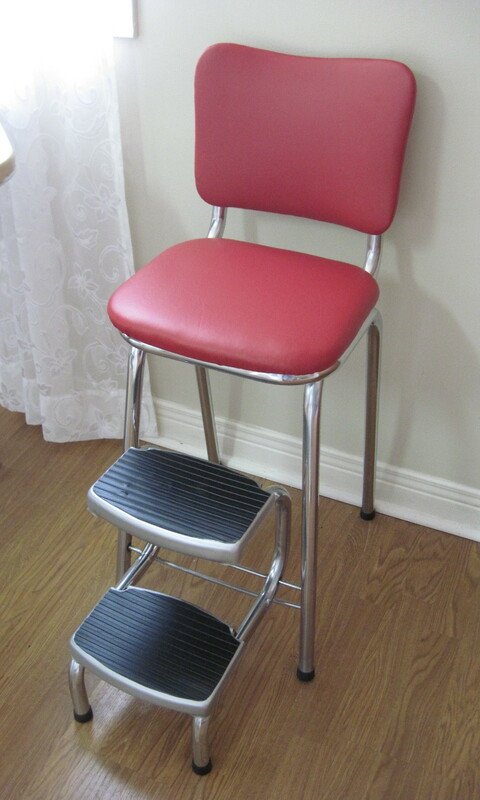 I like the way the mechanism on this step stool works. The steps slide out rather than fold back under the chair as most others do. Please note this item is no longer available !!! 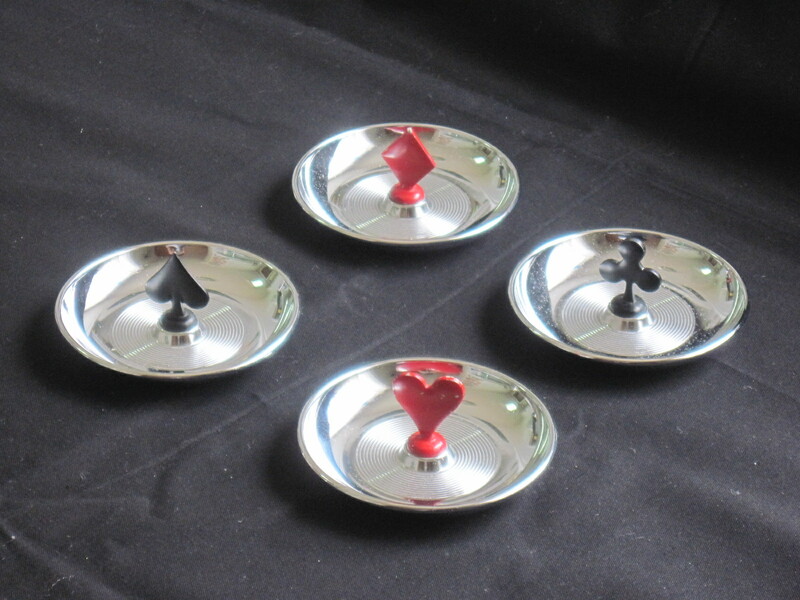 This is a bridge set of four chrome plated ashtrays or candy dishes by Irvinware, made in the USA ca 1960’s. The card suit handles are plastic. All are in very good condition and have non slip cork bottoms. 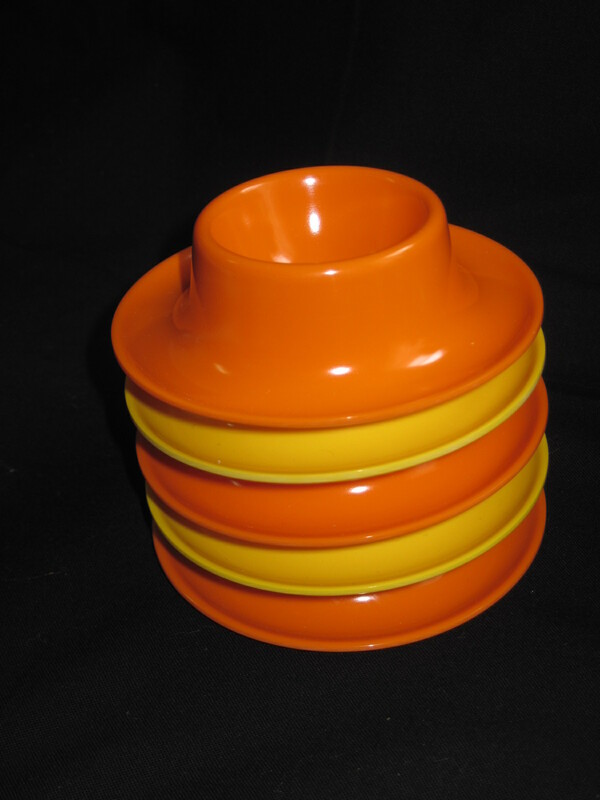 Priced at $15 for the four, they are available at my booth at the Almonte Antique Market, 26 Mill Street, Almonte ON. Please note this is now SOLD!!! I really think this was a Fab Find!! 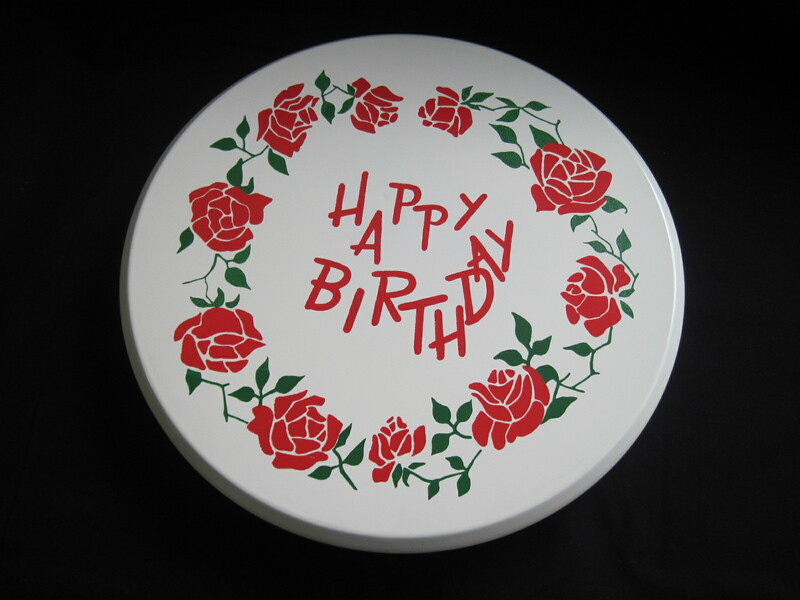 It is a revolving musical tin cake plate with beautiful red roses on the top. It does work and plays a song but not Happy Birthday. 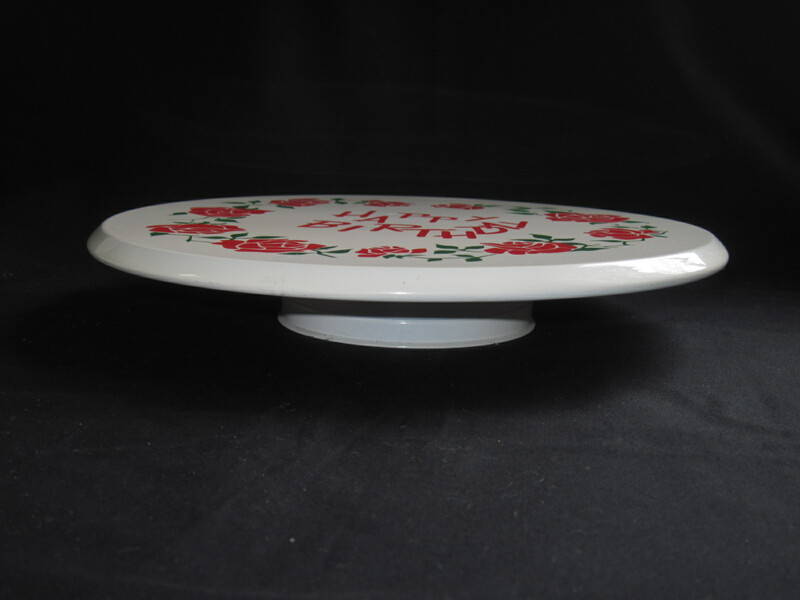 To make it work, simply rotate the top plate clockwise on the base until it is slightly harder to turn, then push the small lever on the side to release the plate. 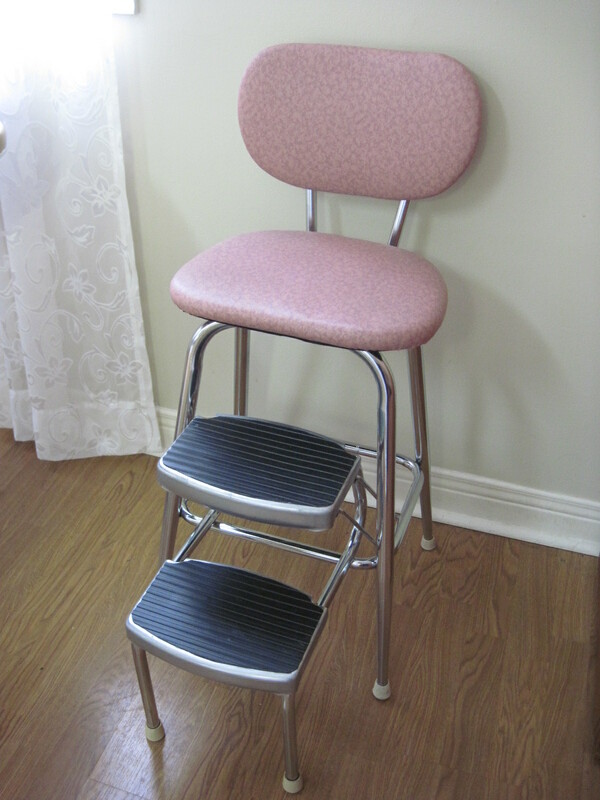 Priced at $15, this item will be for sale at my booth at the Almonte Antique Market, 26 Mill Street, Almonte ON.